Special to The Sun: Students took turns signing the Second-Grade Constitution, which included rules they are expected to follow throughout the school year. 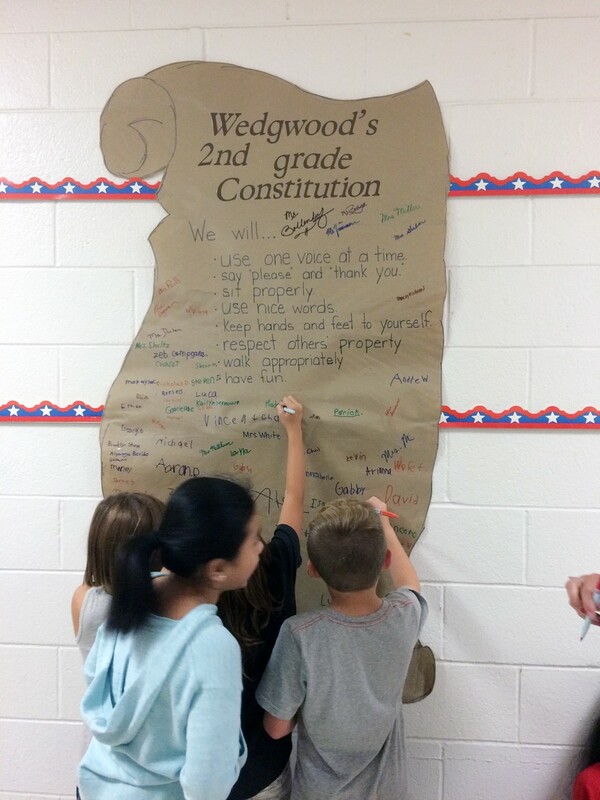 As part of Wedgwood Elementary School’s celebration of National Constitution Day, teacher Mrs. Marla Ruh conducted a signing of the Second-Grade Constitution on Sept.17. All the second-graders gathered in the hallway and listened to the reading of the document. 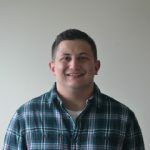 Famous signees of the Constitution included Superintendent of Schools Joe Bollendorf, Assistant Superintendent for Student and Special Education Services Annette Miller, Director of Elementary Education Gretchen Gerber, and Wedgwood Principal Charlie Zimmerman. Each of the second-grade students then had the opportunity to add their “John Hancock” to the document.